Among the questions raised by Germany's elections in September 2009 was the impact Chancellor Angela Merkel's new coalition partners would have on Berlin's foreign policy orientation. A number of developments since then have provided hints of areas of continuity, as well as others of potential change and even internal conflict. 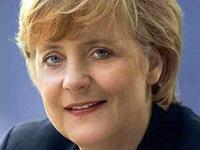 Among the areas of continuity is Germany's approach to the internal politics of the European Union. In the recent race to secure the EU's top post-Lisbon Treaty jobs, Berlin remained circumspect, preferring to leave the more powerful portfolios to other countries. The main struggle ended up being between London and Paris, with London getting the newly created post of European foreign minister (officially the high representative for external affairs), while Paris obtained the post of commissioner for Internal Market, a powerful position with oversight of the EU's internal economy. By contrast, Berlin refrained from promoting its national candidates for the EU's most important jobs designated so far, instead contenting itself with the position of commissioner for Energy. Though not regarded as one of the European Commission's main posts, it has strategic significance for Germany because of Berlin's energy dependence on Russia. This reticence toward the big jobs reflects Berlin's long-established approach of avoiding top positions at the EU, out of concerns that a prominent Germany may raise fears among its European neighbors. Yet, this time there could be a change in Germany's traditional stance: Berlin appears to be aiming for the presidency of the European Central Bank, arguably the most powerful post among the European institutions since it controls the union's monetary policies. In other areas, Berlin's new and dynamic foreign policy team is altering some of the country's political habits. Karl-Theodor zu Guttenberg, a Christian Democrat politician recently appointed as defense minister, bucked convention by declaring that German soldiers were engaged in a "war" in Afghanistan -- a word his predecessors avoided. In a recent speech in Washington, Guttenberg said that German military deployments need to be more common and more "widely accepted." At the same time, he argued in favor of strengthening transatlantic relations and said that contributing to peace and stability in Afghanistan was Germany's "top priority." After being appointed, Guttenberg won the army's approval by visiting troops deployed in Afghanistan -- a show of support after a controversial incident in which the German military killed 142 people in Kunduz. He also decided to slightly increase the number of German soldiers in Afghanistan. That's in contrast to Guido Westerwelle, the new minister of foreign affairs from the Free Democrats, who has shown more reticence toward the Afghanistan deployment. More generally, Westerwelle represents the consensus anti-militarist view in German public opinion, and has tried to gain public favor by championing issues such as the removal of American nuclear weapons from German soil. His posture could be an effort to counter Guttenberg's popularity. 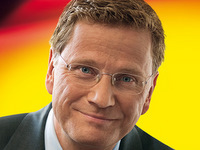 Currently considered Germany's most popular politician, Guttenberg is seen by some as the future chancellor. Given the two men's divergences, there is the possibility for clashes between them. The new foreign policy team also raises questions about Berlin's relations with Paris. 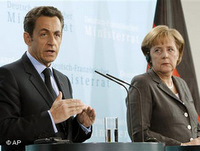 French President Nicolas Sarkozy has been poised to strengthen his government's links with the Merkel administration in order to create a Franco-German coalition to lead Europe in the coming years. Germany and France coordinated their negotiating positions during the recent designation of the top EU jobs. Rumors indicate that the same is going to happen for the key posts within the newly created European External Service -- the European foreign service to be led by the high representative, Britain's Catherine Ashton. However, regarding broader strategic objectives, Berlin is growing restless with Paris' ambiguous approach to transatlantic relations. France is more interested in balancing American power, while Germany has historically placed greater emphasis on strengthening both NATO and its own bilateral ties with the U.S. A French proposal to create a joint Franco-German cabinet-level minister was met with little enthusiasm in Berlin. The proposed joint minister would have attended cabinet meetings in both France and Germany, but the lack of interest shown by Berlin resulted in the French shelving the proposal. Moreover, Westerwelle chose Warsaw for his first official trip instead of the traditional Paris visit, suggesting that other priorities come before the Franco-German relationship for Berlin. The current state of affairs is the opposite of 1999, when the German government wanted to create a "core Europe" around stronger cooperation between Paris and Berlin, only to be rebuffed by the French. Now, the positions have reversed, with a more self-confident Germany rejecting France's offer of a rapprochement. The situation has unsettled the French, who fear being excluded from European leadership. Currently, the German government is keen on restoring ties with the U.S. after the drift in relations during the Bush administration. In a recent speech delivered to a joint session of the U.S. Congress -- the first such address by a German chancellor since Konrad Adenauer in 1957 -- Merkel argued strongly for increased engagement between the two countries. She said that Germany was "ready to shoulder the responsibility" in Afghanistan, and showed a willingness to speak on behalf of Europe, referring repeatedly to "we Europeans." Berlin's yearning for a more prominent role in international affairs could mark the beginning of a new approach in German foreign policy. This new policy however, faces many challenges, from both outside and within. It could raise uneasiness from Germany's European neighbors, particularly from France and some of the Eastern European countries. Indeed, Westerwelle's Warsaw visit can be seen as an attempt to restore relations with Poland, which were tense under the Kaczynski government. Internally, German public opinion could oppose foreign engagement, especially if it involves the military. For the U.S., a more assertive Germany could prove a useful ally in the short and medium term, by facilitating Europe's commitment in Afghanistan. In the long term however, a more assertive Berlin pursuing its interests could prove to be a source of unease. Nicolas Nagle is a freelance journalist based in Brussels. He has worked for a number of Latin American news outlets and for the International Crisis Group.